Expect the unexpected. At Nemacolin Woodlands Resort, that tag-line holds oh-so-true. 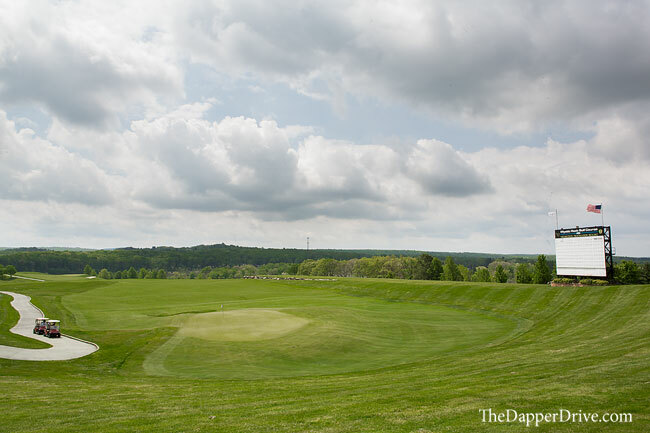 It’s hard to believe that growing-up in Pennsylvania, I knew very little about the Nemacolin property and Mystic Rock golf course. True, my hometown of Williamsport is nearly 4-hours away, but how could a golf-loving soul not know more about this place! 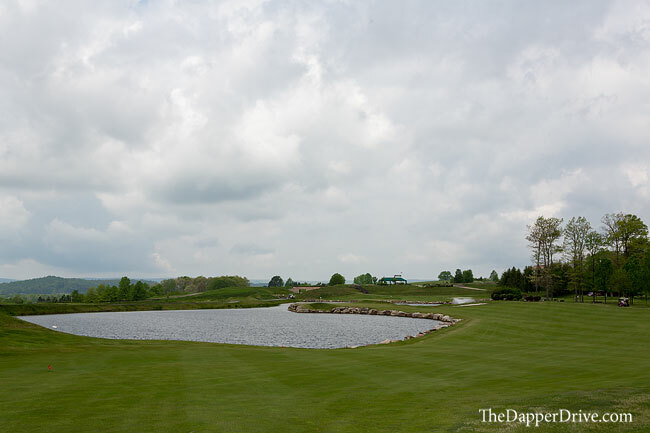 During our recent visit on the Ultimate Golf Road Trip, we made up for lost time by exploring all that Nemacolin Woodland’s Resort has to offer. If you’re looking for immediate proof of Mystic Rock’s championship caliber, look no further than the fact that the golf course played host to the 84 Lumber Classic in 2003-2006. In it’s inaugural year as host, the event drew a “weak” field, with John Daly (who was sponsored by 84 Lumber) playing the role of main event. 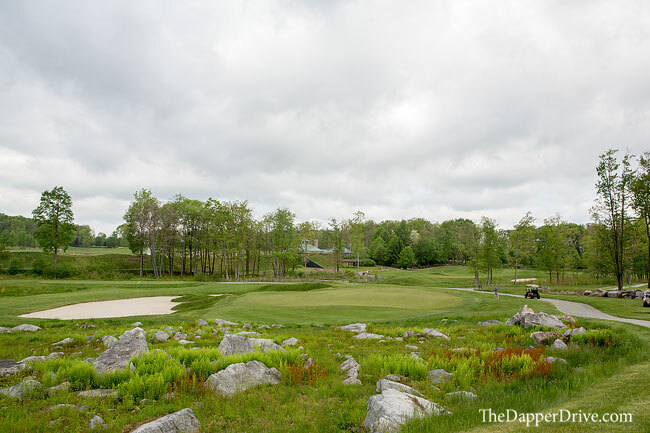 In hindsight, the weaker than expected field may have been a blessing in disguise as 84 Lumber founder (and owner of the resort) Joseph Hardy brought course architect Pete Dye back to Mystic Rock to make it a more “tour worthy” course. 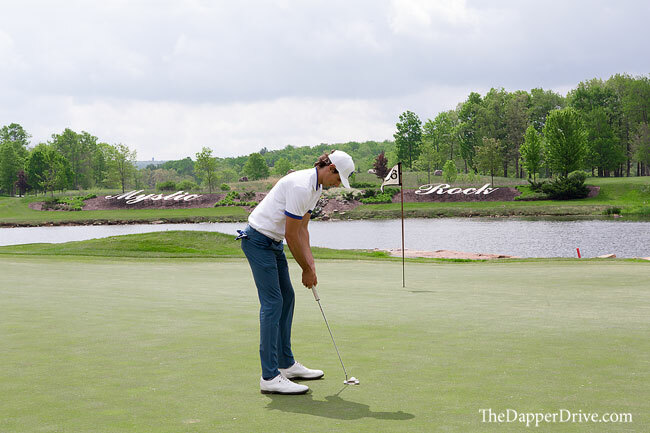 In addition to course changes, Falling Rock, a luxurious boutique hotel and clubhouse, was added to offer players extensive on-property facilities. The result was three consecutive years of a strong fields (including 2004 champion Vijay Singh and Phil Michelson), before a downturn in the economy saw 84 Lumber backing away as tournament sponsor. While the Tour no longer makes a yearly stop here, you’re sure to enjoy the benefits and amenities originally created to attract the world’s best golfers. 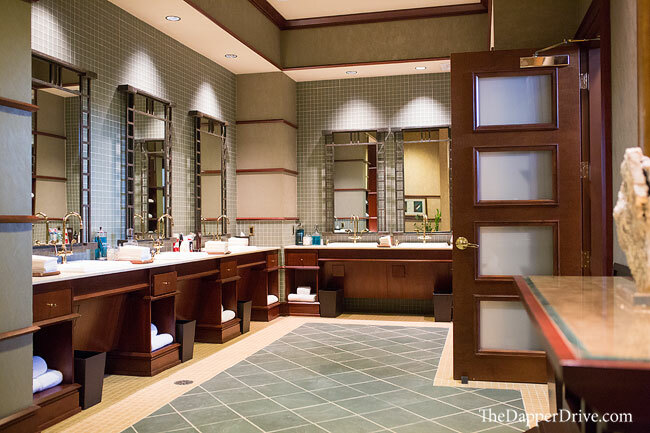 Guests who stay at Falling Rock (yes, they have top-notch room accommodations) will be treated to on-site pool, jacuzzi, dining options, gym, and views of the 18th hole, to name a few. 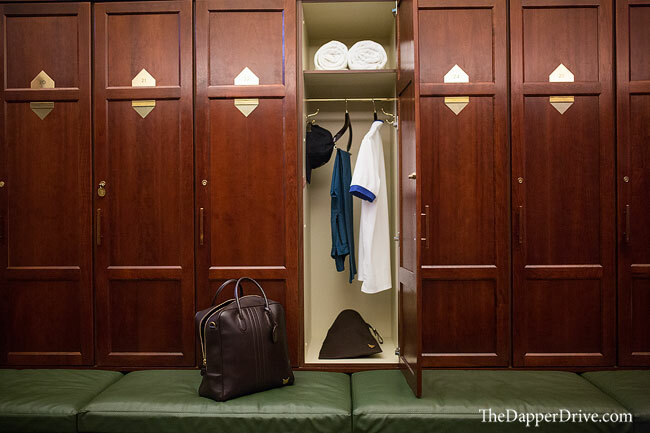 The locker rooms are some of the best we’ve come across on the Ultimate Golf Road Trip, and the best amenity might be the fact that the golf course and extensive practice facilities are literally at your doorstep. Mystic Rock is advantageously positioned in the highlands of the region, offering-up some great views of the Allegheny Mountain Range. The best view is actually on the short cart-ride from the pro shop to the first tee. Passing 18 on your left, and Falling Rock on your right, you’ll climb a gentle hill that opens up a panoramic view of the aforementioned Alleghenies. It’s a great view to take in before continuing onto the first tee. I must admit, playing through the opening seven or eight holes, I had drawn the conclusion that Mystic Rock was one of Dye’s more friendly designs. Sure, using the term ‘friendly’ in the same sentence as ‘Pete Dye’ certainly isn’t typical, but generous fairways and large greens had me feeling good about my game. And the best part about this more benign front side? It still offered up some really good golf holes. The opener was a nice starter hole, measuring around 400-yards from the Championship tees and bending gently from left-to-right. A row of deep bunkers runs the length of the hole down the right, but with plenty of room left, Mr. Dye gives plenty of opportunity for a good start. The second hole presents a really cool tee shot, with a forced carry over a boulder-lined lake to another generous fairway. To the left, it also gives a glimpse at some of the best (and toughest) holes on the course — 16 and 17. We all know by now that when Pete Dye has a vision, he’ll move land (literally) and sea to make it happen. 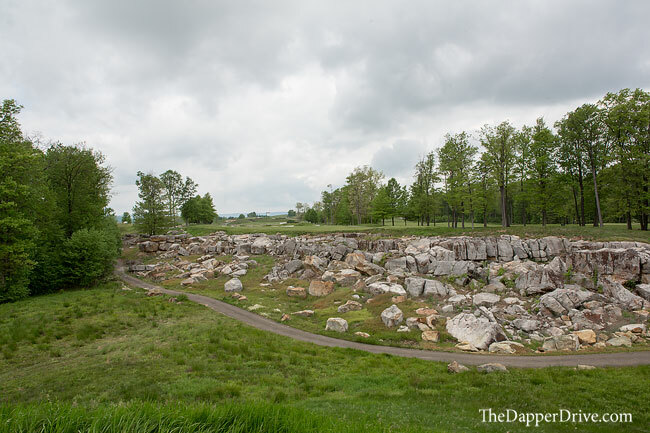 During course construction, thousands of boulders were discovered and repurposed all throughout the course to provide nice visual elements and hazards alike. 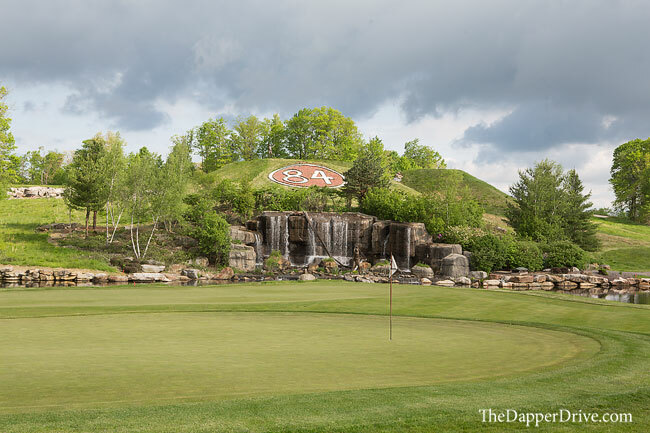 Whether it’s the “Mystic Rock” lettering on the water-side bank of hole 16, or the epic waterfall next to the green on hole 5, the course utilizes modern-day man-made ascetics to add a unique aspect to the course. Even if you’re a classic design lover, you can appreciate these for their purpose at Mystic Rock. 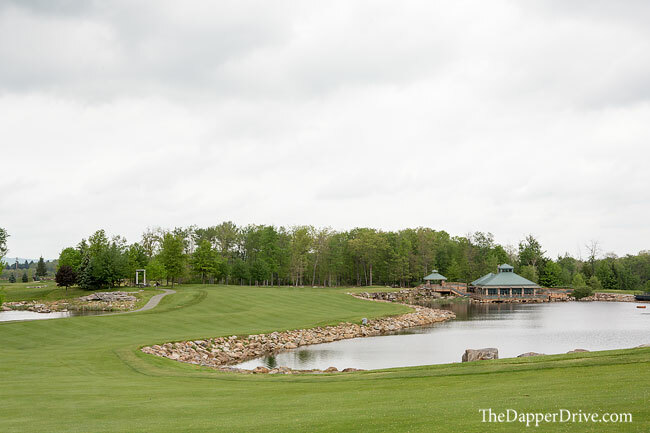 All throughout the course you will see larger-than-life statues overlooking tees and greens. Of the more impressive statues are John Daly coiled-up ready to smash his driver (levitating in the pond on the 5th) and the resort’s namesake – Chief Nemacolin – towering over the 16th tee. 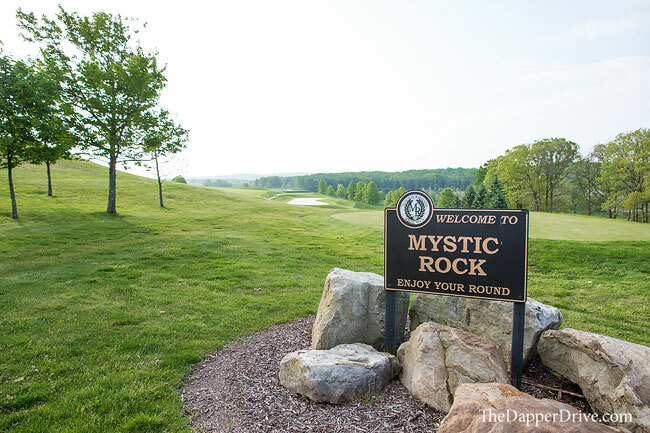 As you might expect from a luxury resort course, Mystic Rock boasts absolutely pristine conditions. Fairways are tight and greens roll quick and true, which certainly adds to the experience. 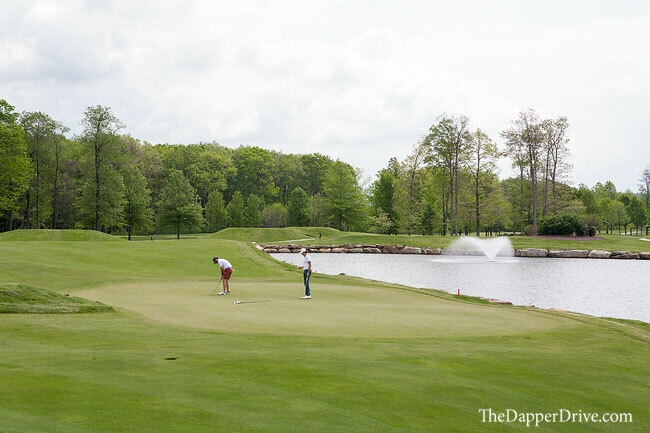 A quick conversation with the Director of Golf indicated this is something the resort has been focused on, and they intend to continue to improve conditions to rival the best courses in America. What a treat. Remember that friendly layout I eluded to earlier? Well, it all changes on hole 9. 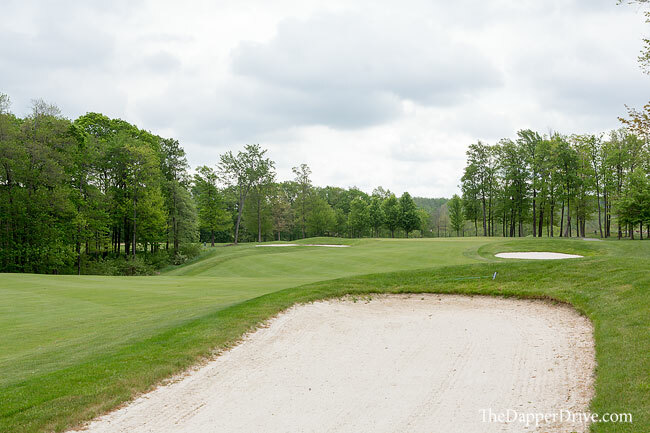 With water down the left, trees flanking the right, and a pinched fairway between, the 476-yard par 4 9th is a glimpse of what’s to come on the backside. Fairways seem tighter, water and bunkers more in play, and some lengthy holes enter into the mix. The longest hole measures at 634 yards (par 5 11th from the Champ tees), but the real challenge awaits on the final 5 holes. Fourteen (465 yard par 4) requires a well-placed drive to avoid a massive bunker down the right, while an uphill approach to an elevated bunker-guarded, extremely undulating green finishes the test. Fifteen (463 yard par 4) requires a tee shot threaded between two fairways traps on either side of the landing zone, before sixteen presents one of my favorites – a 525 yard risk/reward par 5. 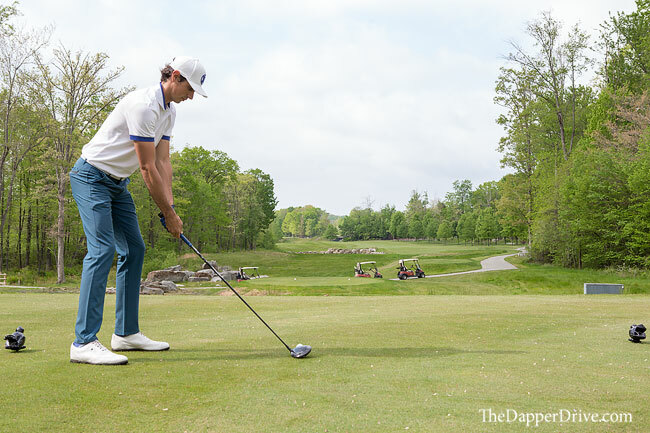 After playing the tee shot straight uphill over an embankment of boulders, you’ll be faced with a decision to attack the peninsula-shaped green in two, or layup next to the water and flip a wedge into this seemingly-small green. It’s the type of hole where fireworks can certainly take place, as both eagles and doubles can easily come into play. Seventeen (204 yards) is among the more difficult par 3s – with water down the entire left – and although there’s plenty of room to bailout right, a difficult chip to a green running away from you means bogey’s more than in play. If you’ve managed to survive the difficult stretch, eighteen awaits. It’s one of the toughest tee shots out here, with bunkers shaping the elevated fairway that bends to the left. 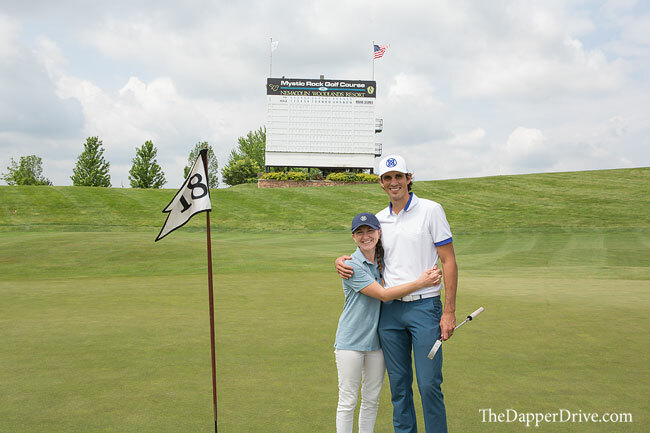 One of the coolest parts of the finish is the towering scoreboard behind 18 green, left from the days of the 84 Lumber Classic. Add the Fallen Rock clubhouse in the near distance, and it makes for a photographic finish. When traveling to play Mystic Rock, you’ve got plenty of accommodation options here at Nemacolin Woodlands Resort. I’d personally recommend snagging a room in Falling Rock (given the aforementioned proximity to the course), but other luxurious accommodations like Chateau Lafayette – designed as a tribute to the grand hotels in Europe – or private home rentals make the decision difficult. 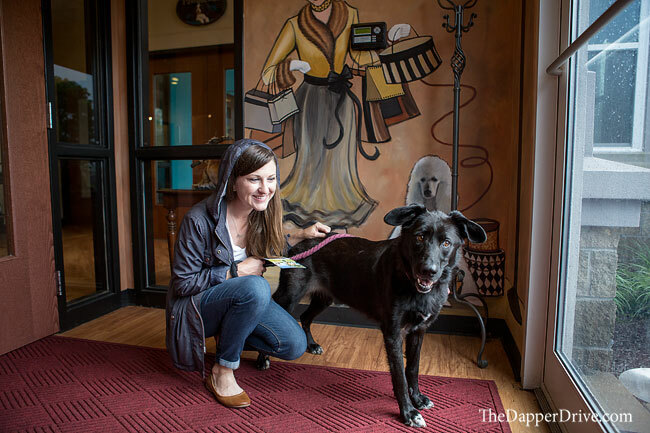 And if you’re a pet lover like us, bring your furry friend with you and put him or her up at the Wooflands Pet Resort & Spa, where they’ll show your pet the royal treatment. 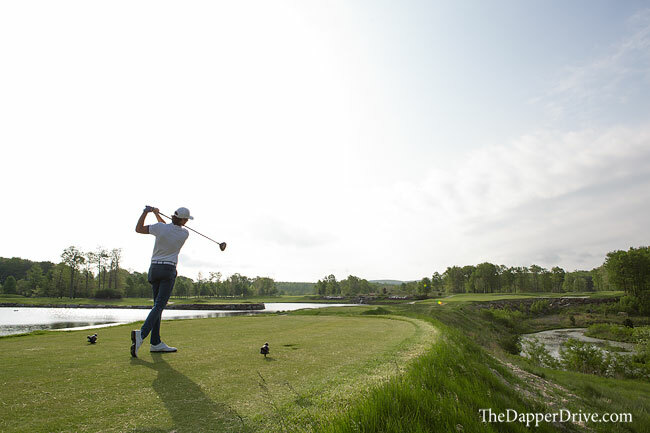 So Nemacolin Woodland’s Resort sounds pretty great, right? Well, it’s about to get even better with the addition of another 18-hole course, Shepard’s Rock. 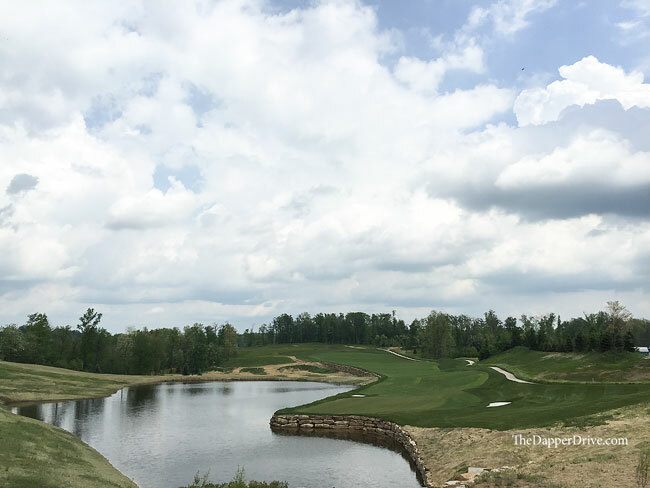 It’s another Pete Dye design, set to open July 1, 2017 for Resort guests and July 12th to the public. I walked a few holes during out visit, and speaking with the staff, they believe this layout may prove to be even better than Mystic Rock. 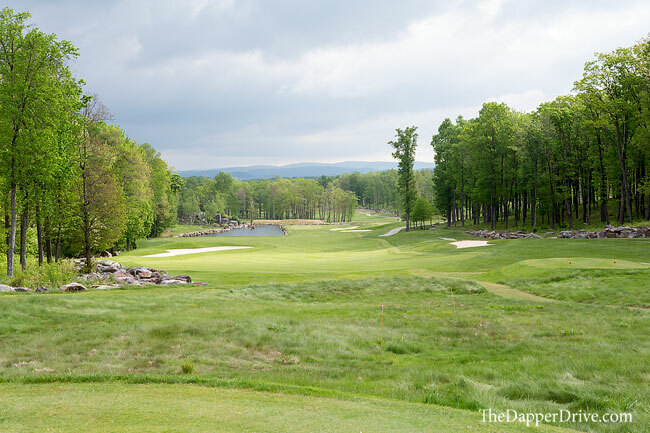 The course will stretch to 7,150 yards as it meanders its way through wetlands, woodlands and open rolling hills, and offers impeccable scenic views across the mountains. 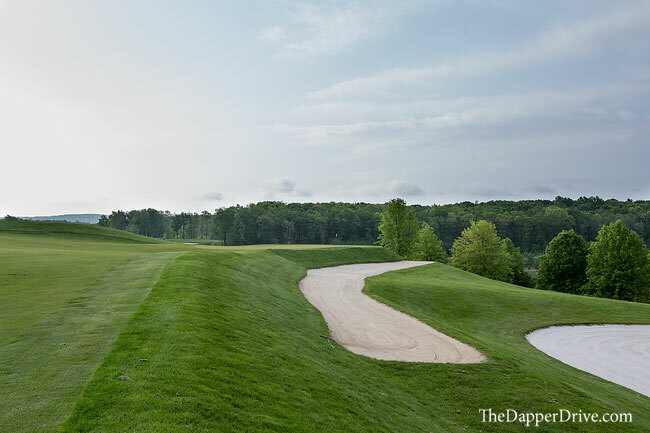 The prospect of 36 championship holes of golf, luxury accommodations, and endless off-course activities, Nemacolin Woodlands Resort is sure to climb the ladder of premium golf destinations across America.